"My music is probably harder to describe than a lot of other people's." 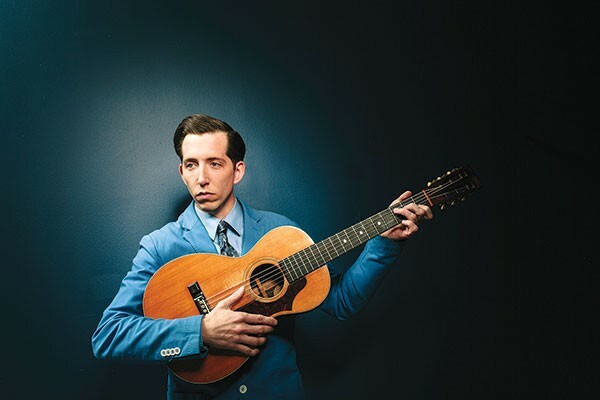 Ask Pokey Lafarge about his musical influences and you're more likely to get names like Mark Twain and John Steinbeck than Hank Williams and Jimmie Rodgers. And for this Midwestern roots musician, the references make sense. Growing up in Illinois, he found a love of history and literature, as well as music. 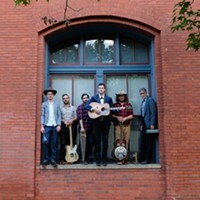 And those influences can be heard in his music, which is a mix of old-time country swing, ragtime and blues. Lafarge — who released his new record, Something in the Water, earlier this month — spoke to City Paper in advance of his April 30 show at the Rex Theater. This has really exceeded my expectations. Working with [producer Jimmy Sutton] and all of the great musicians on this album made for a very rewarding experience in various ways. What made it a home run for you? I'd say it was a multiple home-run album in a lot of ways. This was a stepping stone for me in terms of a new direction for my music. Certainly with the advent of the drums and a lot of the three- and four-part harmonies, I think you're going to see that as a theme with a lot of my future records. 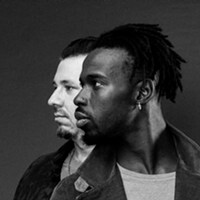 I've wanted to head in this direction for a long time, but I just had to find the right musicians and the right producers to help bring it out and pull it together. Do you think you grew as a songwriter on this record, and in what ways will we notice it? ﻿﻿﻿I think I did. I write a lot. I mean, I write a lot of words. And I think with Jimmy's help we were able to really skin that back to get to what it was that I really wanted to say. I think the style of my songwriting is heading down a new path. I think it's becoming more original. It's still rooted and grounded in certain forms of music, if you will. But I think I've made bigger leaps with my songwriting than I ever did before. How do you make those leaps? Do you listen to the older stuff and consciously set out to change? Or is it more organic growth as you grow, not only as a musician but as you gain more life experience? I think you hit the nail on the head. It was a conscious decision in some regard, but most songwriting, like most great ideas, come about subconsciously and therefore more naturally and organically. I think life experience is a very important thing; certainly for me that has been a huge influence on my songwriting. Am I having higher quality of life now? Am I experiencing new things? Yea, I think so. I've always had a lot of great experiences, but I think as I get older I think I'm definitely turning into a well-oiled machine, if you will. I'm figuring a lot of things out. I still have just as many questions, but I think in terms of becoming an efficient artist, I'm getting there. It seems like I've seen your sound labeled 30 different ways. Does it bother you that people are always trying to make your music fit into a particular box? I don't think so. You have to have some empathy for the things that people say or feel. At least they're trying to remember me. And that's what categorizations are. You put the music into a place with a label and that helps people remember things better. Now, I don't know, though, if I would be able to help anyone who is trying to remember my music strictly from a label. My music is probably harder to describe than a lot of other people's. I do think labels can be limiting, because they don't sum up everything that you do. I think my music is becoming even more different going forward and will be even harder to label. And that's the goal, because we are creating something new, and there is no point of reference for what we're doing. You create new music, but it has an old-time feel to it. How important is to you that people feel that sense of history in your music? There's a big element of traditionalism in what I do, and I think it's important to educate people on that. 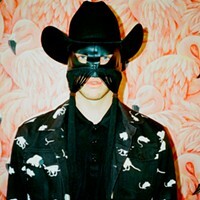 It can only help American society to be in touch with not just earlier forms of music, but also more underground music. It's important to note that a lot of this music that we roots musicians have come to love was never popular. It was always underground. You know about Jimmie Rodgers, Hank Williams and Elvis Presley, but what about the thousand other people who starved to death, that never made it and you never heard of? I think what we do helps give credence to the nameless. It makes you develop an underdog approach. Nothing I've ever done has come to me easily. I've always had to fight 10 times as hard to get half of what everyone else has. ﻿﻿ Your music has a distinctive vibe. You can hear the older influences — country swing, ragtime, blues, jazz — but as a younger guy, where'd you pick that up? This isn't the music that I listened to at a young age; I had to sort of dig my way back to it from some of the classic rock stuff that I was being exposed to. As an early teenager, you're starting to experience life, you're getting stoned and listening to Led Zeppelin, Pink Floyd and CCR. But at some point, I wanted to hear where this music came from. Honestly, I think I was just in search of something that was real and pure and honest and raw. Some of these earlier forms of music just spoke to me, but I didn't really start playing music seriously until I was 18. All my friends were playing music in high school — you know all this half-assed singer-songwriter stuff. My first love was literature. I always felt like I had things that I wanted to say, and I knew that I needed to have life experience because I was reading things were coming from that same approach. I love Kerouac, but also Mark Twain and John Steinbeck; they were like the folk musicians and country singers of their day in a lot of ways.